7th Day Is the latest malayalam movie of Prithviraj Sukumaran. Its Directed by the debutant Shyam Dhar. Seventh Day Movie is Releasing on 11th April 2014 as vishu Release. This Movie is produced by Shibu G. Suseelan under the banner Movie Junction. This is Prithvi’s second release in 2014 after London Bridge. That will was a box office bomb. In this Movie Prithviraj Sukumaran Playing the role of David Abraham, an ageing IPS officer. Anu Mohan, Tovino Thomas, Praveen Prem, Vinay Fort are supporting stars. Yog Jappe and Janani Iyer Playing the female lead roles. Janani Iyer enters Mollywood Through the Movie 3 Dots. Koothara (with Mohanlal) , Mosayile Kuthira Meenukal are the upcoming Projects Of Janani. Gangster , Ringmaster , 1 By Two , Polytechnic, Mosayile Kuthira Meenukal are the Other Vishu 2014 Releases. 7th Day Malayalam Movie Satellite Rights is Bagged By Asianet. 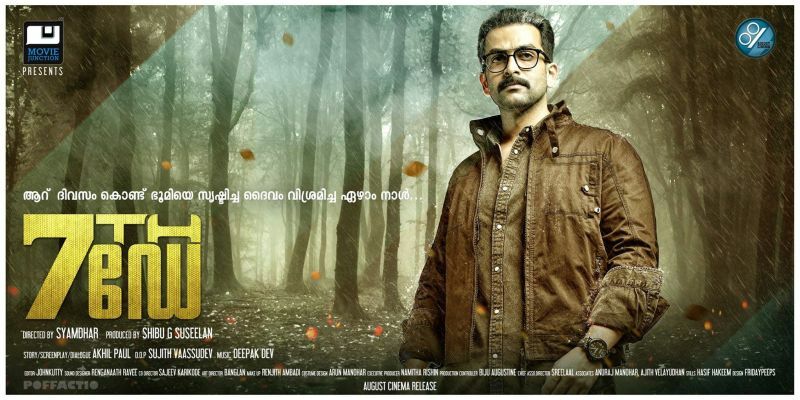 Superb Thriller With an Excellent Climax, Prithvi Rocked Again. 7th Day is a Decent Thriller, If you like thriller films go for Seventh Day. I just watched the film, very good film. This should be the Vishu 2014 Winner.